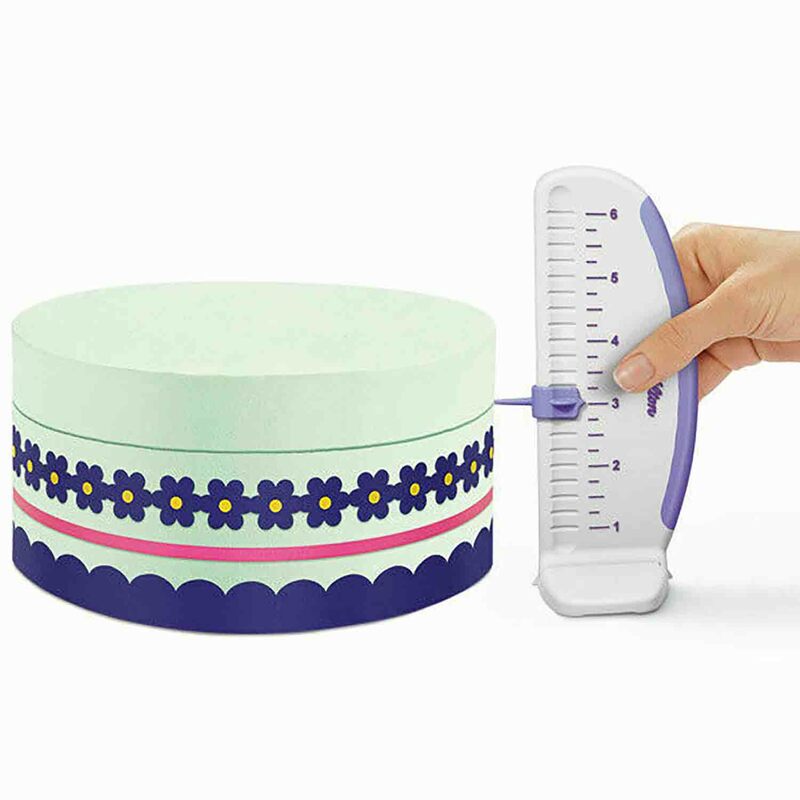 Brand: Wilton 409-2545 Units: 1 Use this adjustable guide to easily mark cake sides for perfect placement of accents or borders. With three marker pins that snap into place along the ruler edge, it’s a breeze to mark sections. Just place the Cake Marker on a level surface next to the cake and move around to mark position in several spots. Use this adjustable guide to easily mark cake sides for perfect placement of accents or borders. With three marker pins that snap into place along the ruler edge, it’s a breeze to mark sections. Just place the Cake Marker on a level surface next to the cake and move around to mark position in several spots.